Dodgers agree to terms with Chris Hatcher and Scott Van Slyke. The Dodgers agreed to terms on one-year contracts with two players Thursday: pitcher Chris Hatcher and first baseman/outfielder Scott Van Slyke. According to the Associated Press, Van Slyke’s deal is worth $1,325,000 and Hatcher’s contract is worth $1.25 million. Dodgers trade Carlos Ruiz to Seattle; return unknown. Update. The Dodgers exercised the contract option of catcher Carlos Ruiz and traded him to the Seattle Mariners. The return is not yet known; according to one report the Dodgers will receive a pitcher on the Mariners’ 40-man roster. Update (9:45 p.m.): The Dodgers will receive left-handed pitcher Vidal Nuno from the Mariners, according to multiple reports Sunday night. Nuno pitched 55 games for the Mariners last season, all but one out of the bullpen, and went 1-1 with a 3.53 ERA in 58 &frac23; innings. The left-hander walked 1.7 batters per nine innings and struck out 7.8. Club officials declined to confirm the reports because the trade hasn’t been finalized. Ruiz, 37, was acquired in an Aug. 25 trade with the Philadelphia Phillies for veteran catcher A.J. Ellis and minor league pitcher Tommy Bergjans. He threw out 41.7 percent of attempted base stealers in 2016, the best mark in baseball. 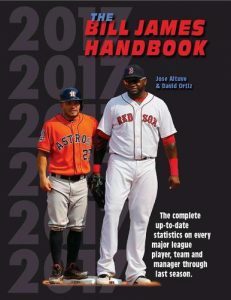 Acquired to shore up the Dodgers’ struggles against left-handed pitching, Ruiz reached base in 11 of his 29 plate appearances against lefties in the regular season. NLCS Game 3: Second consecutive shutout win puts Dodgers in the driver’s seat. The Dodgers extended their streak of scoreless innings pitched to 18, beating the Chicago Cubs 6-0 to take a two-games-to-one lead in the National League Championship Series. The box score is here. The photo gallery is here. It only took two guys — Corey Seager and Yasmani Grandal — but the Dodgers finally got to Jake Arrieta, writes columnist Jeff Miller. 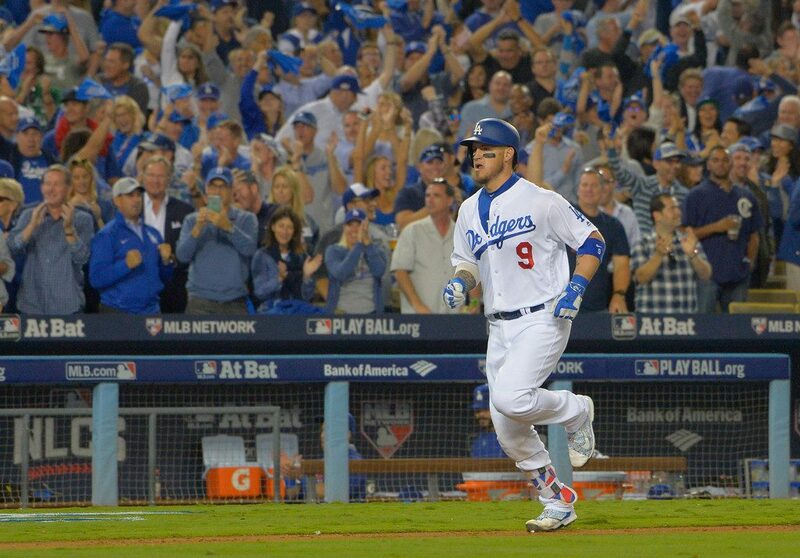 Grandal at last added some offense to complement his defense, hitting a two-run home run off Arrieta. Rich Hill got through six shutout innings for the Dodgers, which is no small accomplishment in these playoffs, as columnist Mark Whicker points out. The Cubs aren’t panicking despite their lack of offense. Game 4 is a matchup of 37-year-old John Lackey and 20-year-old Julio Urias. Lackey was once a rookie hero for the Angels. 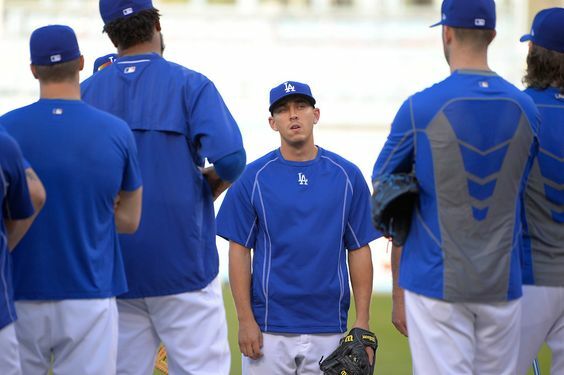 Urias has the requisite poise to do the same for the Dodgers. 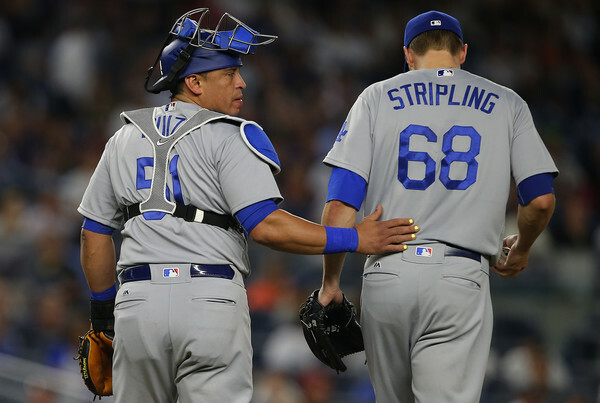 The Dodgers’ NLDS roster: This is not a guess. Dodgers manager Dave Roberts revealed the team’s roster for the National League Division Series against the Washington Nationals, which begins Friday. Our first and second guesses were both wrong.